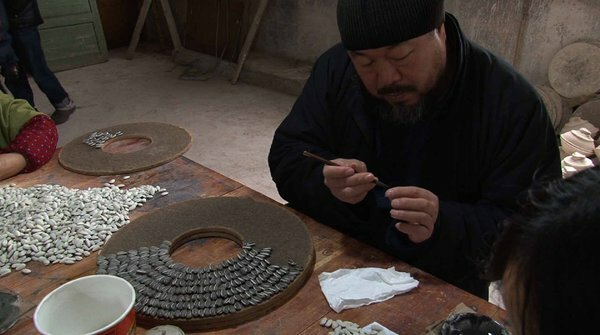 When looking at the work of Ai Weiwei, what first comes to mind is the incredible degree of refinement of his sculptural objects, and the great expensive and time that each work must have cost to produce. Where I a led then is not into his discourse on his pursuit of a Western style freedom to critique the the Chinese government, but the immense power he has to be able to cause exquisitely refined ideas for a work of art to come into existence by the hands of others. 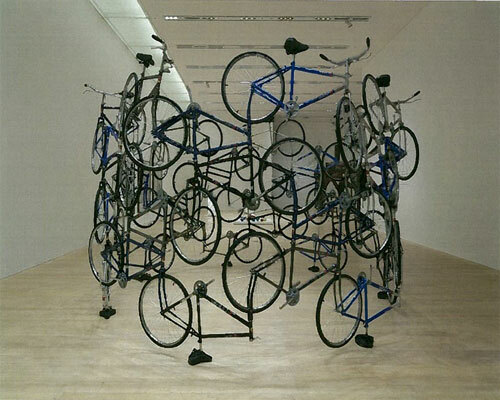 This astonishing level of artistic production power places Ai Weiwei in the same league as the American Jeff Koons and the British Damien Hirst, as that power has positioned those artists and himself at the highest positions of artistic achievement in China, America and Britain. 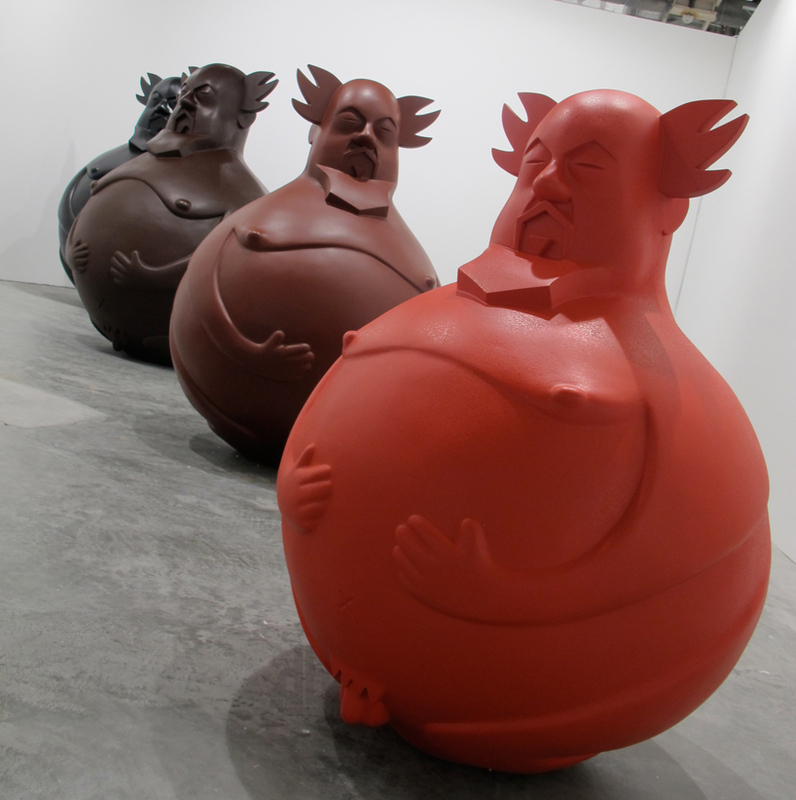 So Weiwei is not concerned then or suffering from a lack of economic power; or running from sexual freedom. That he worked with Herzog & Meuron on designing the Bird’s Nest for the Olympics in China speaks to his royal position in Chinese society. What is also of great interest to me is how Weiwei’s works appear to be unaffected in terms of style or taste in their capacity to be from the Nowhere That Is Everywhere, the part of the world that controls the world through vast accumulations of wealth and power. 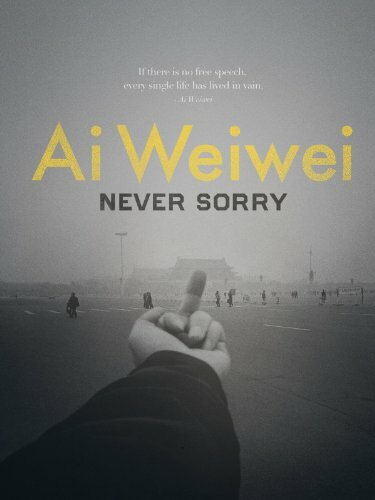 Were Weiwei able to speak out and be a critical agent for the commencement of Western style freedom of speech and of the press, as versus being beaten by the local authorities for doing so, how would this new political philosophy affect his aesthetic position and future decision making as an artist? How would it affect his agency as a creative being – were he to critique the production of wealth itself, for example? Ultimately I ask is Weiwei’s deepest concern with wanting one part of the world to operate and have rules and laws and codes like another part of the world, without him organizing hoards of like minded citizens who would at some point be asked to pay the ultimate price for attempting to radically transform their society. Just look at America during the 1960’s for how difficult that can be, from the assassinations of both the president, and his high ranking brother, to the murdering of the chief civil rights advocates in the U.S. at that time. 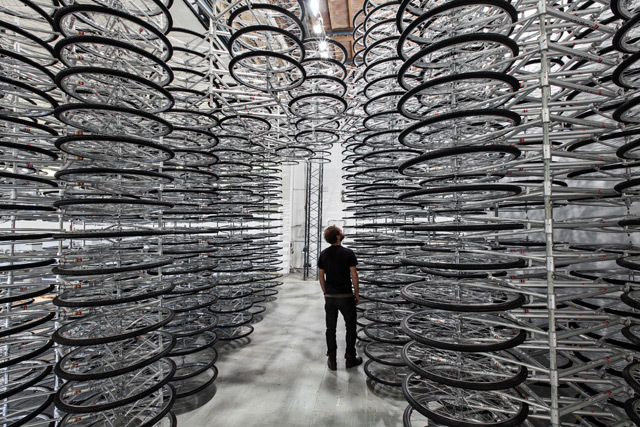 Weiwei is able to have a dream and have it become an actual object of art in the world. That is a degree of freedom most persons will never know, or even know that this form of freedom ever existed on this earth. The London gallery has bought around eight million of the 100 million porcelain seeds, which covered the floor of the Tate Modern’s Turbine Hall in 2010, for an undisclosed figure. Ai Weiwei’s studio was crushed by the Chinese government for his dissent and independence. Pull up a chairGrapes by Ai Weiwei, 2010. Table or chair?Table with Two Legs on the Wall by Ai Weiwei, 2008. For Ai, there is not even a question as to whether the artist can simultaneously be a social activist, because art is not a separate arena with its own laws and logic. All actions, whether compiling a list of children killed in an earthquake or dipping Han dynasty vases in industrial paint, are related in that they are expressions of “creativity.” Creativity, Ai explained in a blog post in 2008, “is the power to reject the past, to change the status quo, and to seek new potential. Simply put, aside from using one’s imagination—perhaps more importantly—creativity is the power to act.” What is lost in this talk about creativity and action is the ancient requirement that a work of art be realized in a particular medium. That does not seem to matter to Ai. Asked by an interviewer whether the millions of porcelain sunflower seeds at Tate Modern “relate[d] back to China,” he argued that “mass production is nothing new. Weren’t cathedrals built through mass production? The pyramids? … Paintings can be painted with the left hand, the right hand, someone else’s hand, or many people’s hands. The scale of production is irrelevant to its content.” This is an extraordinary comment. If the scale of a work and the way the work is produced are irrelevant to its meaning or its content, then what on earth is a work of art? Isn’t a work of art by its very nature a matter of particulars, of size and scale, of who does what and how? This year Ai is the subject of two shows in Washington, D.C., an appropriate backdrop for an A-list power artist. 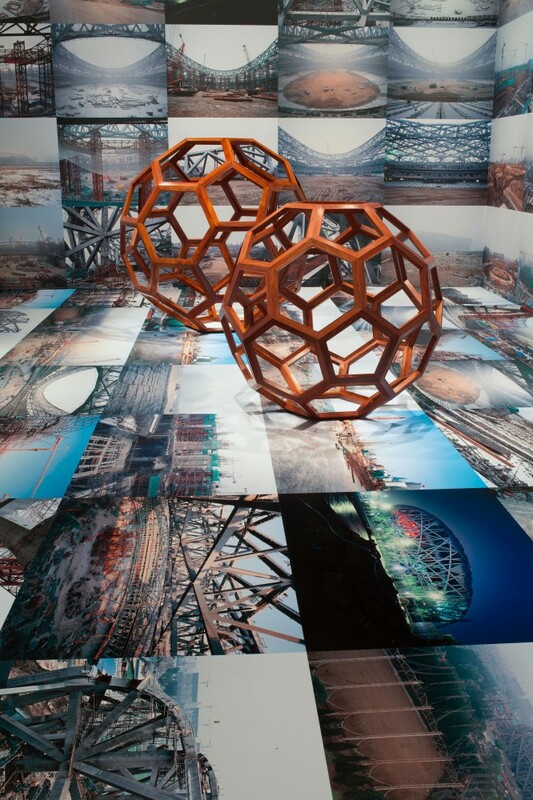 In the spring, “Perspectives: Ai Weiwei” opened at the Arthur M. Sackler Gallery with a monumental installation of Fragments (2005). Working with a team of skilled carpenters, Ai turned ironwood salvaged from dismantled Qing-era temples into a handsomely constructed structure that appears chaotic on the ground but, if seen from above, coalesces into a map of China. (Fragments embodies a dilemma characteristic of Ai: Can the timber of the past, foolishly discarded by the present, be recrafted into a China, perhaps a better China, that we cannot yet discern?) And the Hirshhorn Museum and Sculpture Garden will present a wide-ranging survey of Ai’s work, from October 7 to February 2013. The exhibition title—“According to What?”—was borrowed from a Jasper Johns painting. The question that is not often asked is whether Ai, as an artist, is more than just a contemporary phenom. Is Sunflower Seeds, for example, more than a passing headline? Will Ai ultimately matter to China—and to the future—as much as he does to today’s Western art world? Ai lives well enough, even under house arrest, but there’s little about him that’s extravagant or arty. His house, like many in the district, is gray and utilitarian. The neighborhood doesn’t have much street or café life; it’s the sort of place, one Beijing resident said, where people go to be left alone. His courtyard home consists of two buildings: a studio and a residence. The studio—a large space with a skylight—has a gray floor and white walls and seems much less cluttered than other artist studios. Both the studio and the residence have a neutral air, as if they have not yet been filled, but are instead environments where an artist waits for ideas, or acts on impulse, or greets cats and visitors. Like Andy Warhol, Ai always has a camera at hand—in his case, an iPhone—as if he were waiting for something to happen. In 1981, when it became possible for Chinese citizens to travel abroad, Ai made his way to New York. His first glimpse of the city came on a plane in the early evening. “It looked like a bowl of diamonds,” he said. It was not the city’s material wealth that attracted him, however, but its dazzling freedom of action and speech. For a time Ai had an apartment near Tompkins Square Park in the East Village, where young Chinese artists and intellectuals often gathered. But he had no particular success as an artist. He worked odd jobs and spent his time going to exhibitions. The poet Allen Ginsberg, whom he befriended, told Ai that galleries would not take much notice of his work. Although he has a special interest in Jasper Johns, Warhol and Dada, Ai is not easily categorized. He has a wandering mind that can embrace very different, sometimes contrary, elements. The same artist who loves the transcendental oneness of van Gogh, for example, also admires the abstruse and sometimes analytical sensibility of Johns. Much of Ai’s best-known work is rooted in conceptual and Dadaist art. He has often created “ready-mades”—objects taken from the world that an artist then alters or modifies—that have a strong satirical element. In one well-known example, he placed a Chinese figurine inside a bottle of Johnnie Walker Scotch. Yet in contrast to many conceptual artists, he also demonstrated, early on, a keen interest in a work’s visual qualities and sent himself to study at the Parsons School of Design and the Art Students League in New York. Ai’s interest in design and architecture led him, in 2006, to collaborate with HHF Architects on a country house in upstate New York for two young art collectors. The house is four equal-sized boxes covered on the outside in corrugated metal; the small spaces between the boxes permit light to suffuse the interior, where the geometry is also softened by wood and surprising angles. The award-winning design is both remarkably simple and—in its use of light and the grouping of interior spaces—richly complex. Not soon anyway. In the West, the artist as provocateur—Marcel Duchamp, Warhol and Damien Hirst are well-known examples—is a familiar figure. In a China just emerging as a world power, where the political authorities prize conformity, discipline and the accumulation of riches, an artist working in the provocative Western tradition is still regarded as a threat. Chinese intellectuals may support him, but the Chinese generally have no more understanding of Ai than a typical American has of Duchamp or Warhol. “There are no heroes in modern China,” Ai said. The West would like to turn Ai into a hero, but he seems reluctant to oblige. He lived in postmodern New York. He knows the celebrity racket and the hero racket. “I don’t believe that much in my own answer,” he said. “My resistance is a symbolic gesture.” But Ai, if not a hero, has found ways to symbolize certain qualities that China may one day celebrate him for protecting and asserting. Free discussion is one. An out-there, dark and Rabelaisian playfulness is another. But the most interesting quality of them all is found in his best works of art: a prophetic dream of China. Much of Ai’s art is of only passing interest. Like so much conceptual art, it seems little more than a diagram of some pre-conceived moral. Art with a moral too often ends with the moral, which can stopper the imagination. Consider Ai’s amusing and well-known Johnnie Walker piece. Is it suggesting that China is enveloped within—and intoxicated by—Western consumer culture? Of course it is. Once you’ve seen it, you don’t have to think about it anymore. Jokes, even serious jokes, are like that. They’re not as good the second time around. But several Ai works are fundamentally different in character. They’re made of more than morals and commentary. They’re open-ended, mysterious, sometimes utopian in spirit. Each calls to mind—as architecture and design can—the birth of the new. 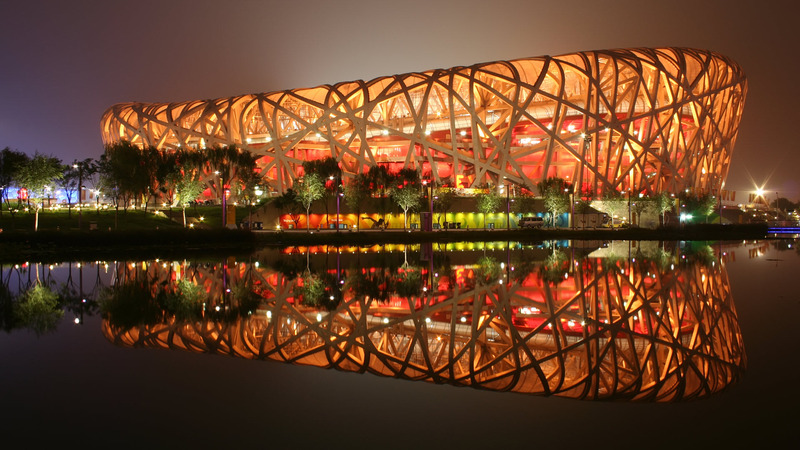 The oddest instance is the “Bird’s Nest” stadium of the 2008 Olympics. While an impassioned critic of the propaganda around the Olympics, Ai nonetheless collaborated with the architects Herzog & de Meuron in the design of the stadium. What kind of China is being nurtured, one wonders, in that spiky nest? Sunflower Seeds, his most celebrated work, yields similar questions. The painting of so many individual seeds is a slightly mad tour de force. But the scale of the work, which is at once tiny and vast—raindrop and ocean—seems no crazier than a “Made in China” consumer society and its bottomless desires. Does the number of seeds reflect the dizzying amount of money—millions, billions, trillions—that corporations and nations generate? Do the seeds simultaneously suggest the famines that mark Chinese history? Do they evoke China’s brief moment of cultural freedom in 1956 known as the “Hundred Flowers Campaign?” Do they represent both the citizen and the nation, the individual and the mass, endowing both with an air of germinating possibility? Will China ever bloom, one wonders, with the joyful intensity of van Gogh’s sunflowers? Visitors to the Ai Weiwei retrospective at the Hirshhorn Museum in Washington, D. C. are offered two varied forms of learning additional information: a traditionally produced hardcover book ($39.95) and a double-stapled magazine format ($5). Beyond an omitted index and curriculum vitae, there is little difference in the less costly version other than distribution and physical constituent parts. You can only purchase the magazine format at the exhibition. Is there a preference? According to a museum shop employee, the hardcover has sold approximately 500, while the magazine, says the Hirshhorn press officer, has been reordered after exceeding the expectation of selling the initial printing run of 10,000. All of this is to say that the exhibition is extraordinarily popular and timely . The catalog formats readily evoke the complexities of information flow between the United States and China, and may be seen as modeled after Ai Weiwei’s collaborative underground distribution of Black, White and Grey cover artist books in the Chinese art world in the late 1990s. Greg Lindquist and Mary Mattingly read the catalogue before visiting the Hirshhorn Museum exhibition. Greg Lindquist: Ai Weiwei’s angular, blocky forms of American Minimalism seem to rely on a recontexualization with China’s cultural histories. 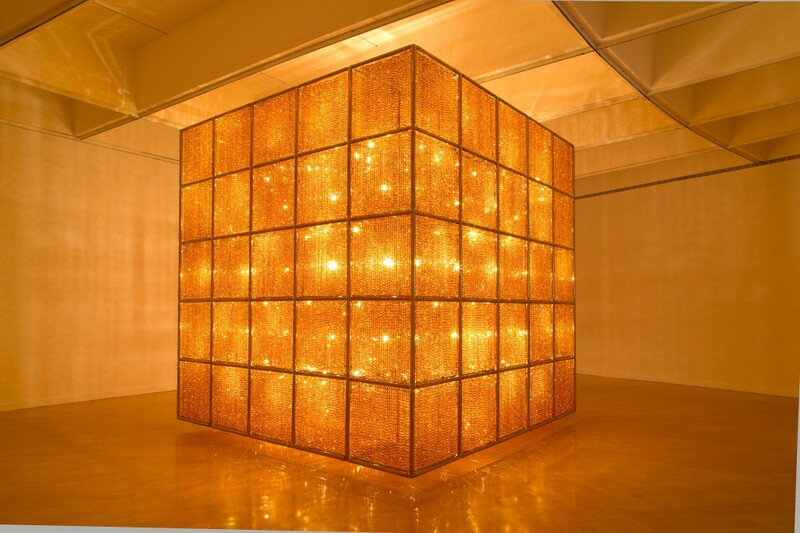 For example, Ai Weiwei uses a cube made of rosewood, a favored material of traditional Chinese artisans, or arranges glass crystals into a cube of light. Both recall formal strategies used by Donald Judd, among others. You have some misgivings about the role of these forms in relationship to American art history and culture. Do you think these sculptures are pandering to our nostalgia for this time in art history or our cultures’ love for the perfection of this Ikea-like reductionist design? Mary Mattingly: Yes, I found this work to be heavily dependent on our knowledge of the work of artists like Judd, Andre, Holt, and Morris, to name a few. Perhaps Ai Weiwei saw it as a way for the art world to couch the political content and charged materials he uses in art. Or maybe it was a response to China’s own process of industrialization (as Minimalism is said to be partly a response to industrialized factory production in the U.S.). 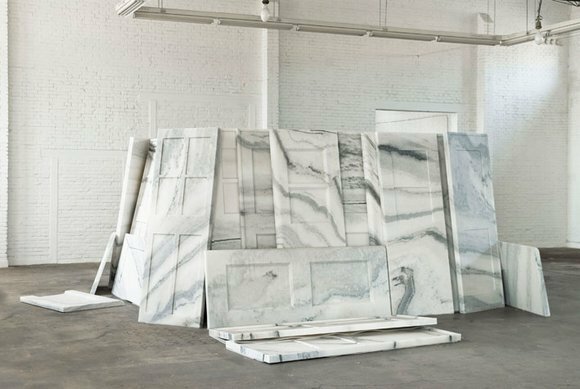 Critical to understanding the politics of Minimalism are the questions that were being asked through the works of participating artists about assembly-line fabrication and materiality through increasing mass production in the U.S. and the Vietnam War. Unlike past works by Ai Weiwei (such as “Sunflower Seeds,” 2010) where the relationship between forms of production, material, and the message of his work resonate with me, I had to reconcile the use of Minimalist tropes with materials that are steeped in dynastic histories or tragic current events. Ai Weiwei’s work in this exhibition becomes formally reliant on these tropes and therefore disconnected from the potent meaning of his materials and the stories behind them. I don’t think that you felt this way. I think you wanted to come away with the greater messages of his work and therefore didn’t get caught up in the same details I did, would you agree? Lindquist: I experienced the forms and the content simultaneously without as much conflict about the derivation you speak of. Broadly, Minimalism was as much about artists exerting the power of a physical object as it was about a search for ideal forms and purity. It was about removing the narrative from the experience of the object, as well as emphasizing formal elements of repetition and symmetry. Of course, the deeper one goes in examining Minimalism, the more contradictions and complexities are imminent. Yet, for these reasons, Ai Weiwei’s homage to Minimalism is an effort of recontexualization and strategy in order to critically question tradition in China. He also intends to fully reinstate narrative to these geometric forms. I think it was the most successful the more immediate the viewer’s relationship to the material and its inherent narrative. 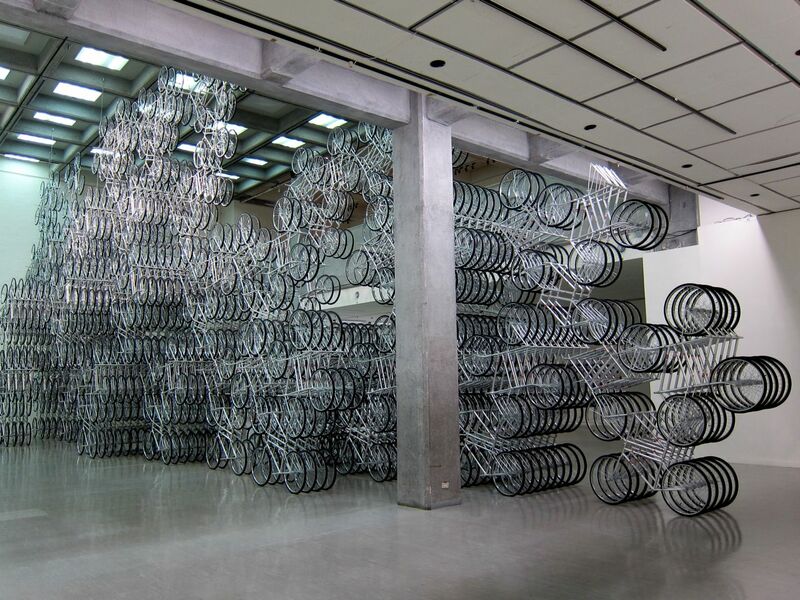 For example, “Snake Ceiling,” (2009) the sculpture memorializing with almost identical backpacks the more than 5,000 students who died in the Sichuan earthquake, was extremely powerful. Also, “Teahouse,” (2011) the Monopoly-like cube of compressed tea, was pan-sensory. You could actually smell it as well as physically and visually experience it. Even more formidable were Ai’s various attempts to destroy or transform various authentic vase and urn artifacts. Whether he was breaking them or painting them with Coca-Cola labels, they were visceral and offensive, an act of cultural defiance. The works are more immediate the more transparent the signifiers are, too. 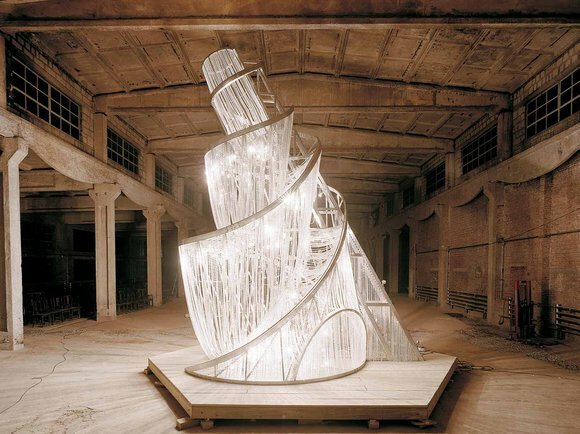 But, maybe also the most memorable work Ai has done has no centralized form, such as “Fairytale,” (2008) in which he brought 1,001 Chinese citizens to Germany for Documenta 12. On the other hand, the work that felt the most flaccid was “Moon Chest,” 2008, which was a clever contemplation of lunar phases, but so politely stated and overtly crafted with intricate inlays. It resembles a lot of work prevalent in recent New York institutional shows. Ai’s woodwork on the inner ring of the Hirshhorn seamlessly blended into the museum’s permanent collection. At one point, I mistook a Barbara Hepworth sculpture for another Ai work, which was a problematic aspect of presentation. Having acknowledged your skepticism, can you say what work had the most impact and why? Mattingly: When political artwork such as this is institutionalized and purchased by U.S. museums I can’t avoid being more interested in the current power dynamics between the U.S. and China and, furthermore, the back seat democracy inherently takes to capitalism. The object-based work in the exhibition is heavily reliant on Ai Weiwei’s stories of political activism and tragedies in China. While the personal stories behind his work are alarming, powerful, and even empowering, I wasn’t moved by the work itself. My favorite piece in the exhibition itself was the book documenting his blog, Ai Weiwei’s Blog: Writings, Interviews, and Digital Rants, 2006 – 2009 a window into the life of Ai Weiwei through blog entries (until it was shut down by the government in 2009), which brings his activism to the forefront. Lindquist: Wait, that book was in the exhibition? Mattingly: Yes, in the inner ring on a table with other catalogues. The According to What? catalogue was more thorough than the exhibition could be, though. It depicted pieces like “Installations for Venice Biennale” in 2008 (in collaboration with Herzog and de Meuron), and “Through,” (2007 – 08) with tables and parts of beams and pillars from dismantled temples from the Qing Dynasty: abstract interpretations of architecture gone wrong that were experiential and impactful, as well as a brief description of “Fairytale” at Documenta. The catalogue also documents two collections of fragments of stone Buddha sculptures the artist amassed in 2003 titled “Hands” and “Feet” from the Northern Wei and Northern Qi Dynasty displayed on thick blocks of wood, poetic and understated. What did you enjoy most about reading the essays and interviews inside of the exhibition catalogue? Lindquist: In re-reading much of the text after the show and our debates about the role of Minimalism, I grew tired of the overt imposition of the American art historical narrative on Ai’s work, which tried to also align with the time he spent in New York in the 1980s. As the photographs attest, this time had little to do with Minimalism of the 1960s and reveal more of the political climate of that time. The catalogue also downplays the influence of Dada and the idea of postmodern appropriation. At the heart of the catalogue was an Ai interview with Kerry Brougher that was excellent. The interview was so dense and potent that the Hirs hhorn reconfigured it into an artist statement for the exhibition. Ai is serious and intense, and his voice is philosophical in tone and ambitious in scope. I was inspired by Ai’s discussion of the Internet as not only a tool, but also a condition of life that has much unrealized potential for art and political change. Ai also has a good sense of humor, such as in the “Study of Perspective” series in which he extends his middle finger to the Eiffel Tower, White House, and Tiananmen Square. Of course, there are critical implications in each of those images, they are not simply one-line jokes. Maybe we Americans love that defiant attitude directed at ourselves and especially a t China. For example, in the political debate of the last election, both Obama and Romney agreed there was a need to have China play by certain economic rules of trade, but little acknowledgment of our continued dependency on China for manufacturing. In that sense, Ai Weiwei may be seen as a sort of American hero and martyr against Chinese oppression and censorship, but this posture also serves certain economic and political motivations for us. Mattingly: I agree, he does claim to be a brand for liberal thinking and democracy and it does seem like his role could easily become that of a martyr figure for a United States wrestling with its own position as a superpower that needs China economically while being simultaneously undermining and wary . A conceptual thread running throughout the exhibition and catalogue is one of destruction and rebuilding, a cycle repeated anywhere there is opportunity for a rush of development, something that the housing boom in the United States shares with China’s megacities-to-be. Ruins are not nostalgic but rather the motivation for newer, larger building projects, cities, and in this case, artworks. GREG LINDQUIST and MARY MATTINGLY are artists, readers, and writers who share a studio in Greenpoint, Brooklyn. They met at the Lower Manhattan Cultural Council exhibition space at Governors Island in 2010, thanks to Melissa Levin and Omar Lopez-Chahoud.